SUPREME best describes the newest addition to the Playground One lineup! 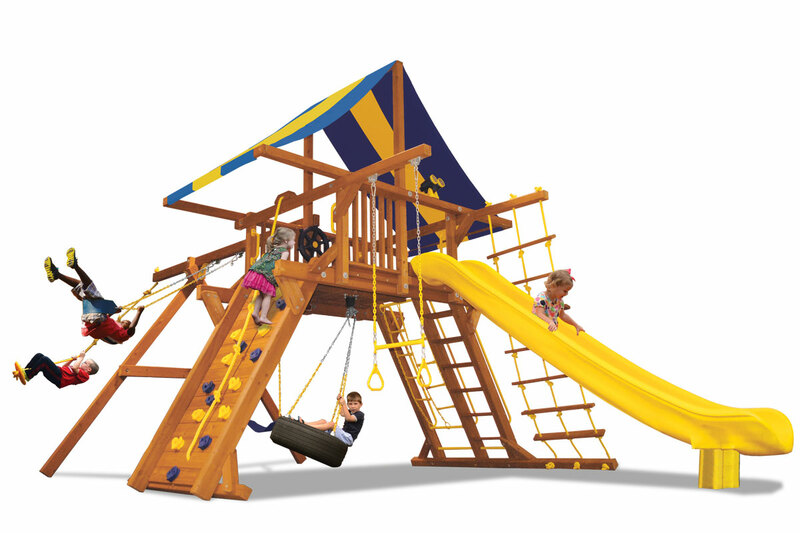 This playcenter has it all and then some at a price that even the most discriminating play set shopper will appreciate. Showcasing 4″ x 6″ heavy duty construction, a 6.5′ high play deck with a 13” super slide and a 9.5′ high swing beam this unit will challenge the most active youngsters throughout their childhood. Dare to compare and find out once again why Playground One will let your imagination fly! Footprint: 13' 5" x 27' 1"